Allen Kurzweil is a novelist, journalist, teacher, and inventor. 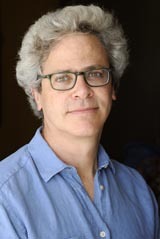 Educated at Yale and the University of Rome, he has written for numerous publications, including the New Yorker, the New York Times, the Wall Street Journal, and Vanity Fair, and has received fellowships from the Guggenheim Foundation, Fulbright Commission, the National Endowment for the Humanities, and the Center for Scholars and Writers at the New York Public Library. He lives in Rhode Island, where he serves on the board of the Providence Athenaeum.